Hotel approved Furniture Package. Exquisite & elegant decor, teak wood floors & doors. Beautiful ocean, beach and city views, south exposure. The place to stay & be seen among the stars & celebrities. One of the Leading Condo/Hotels in the world. 3 infinity pools, world class spa & restaurants. In room dining, concierge, enjoy full service at the pool & beach. THE SETAI IS THE PROUD RECIPIENT OF THE 2019 FORBES TRAVEL GUIDE FIVE-STAR HOTEL AWARD. THIS AWARD PUTS THE SETAI AMONG THE FINEST HOTELS IN THE WORLD. Also THE SETAI HAS BEEN REWARDED WITH THE PRESTIGIOUS TRAVEL & LEISURE READERS CHOICE AWARD, NAMED THE #1 RESORT IN MIAMI BEACH. 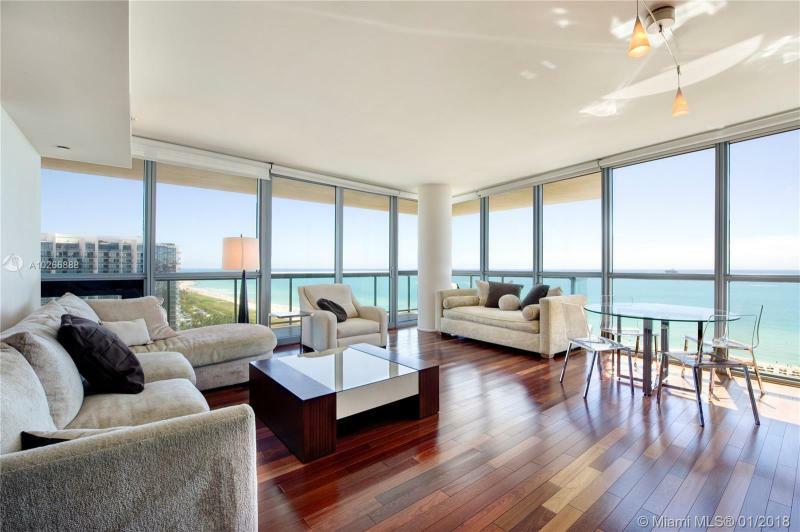 Beautiful 2 bedroom 2 bath unit at the Setai Resort & Residences, high floor that clears the Shoreclub with southeast and west panoramic ocean and city views from the terrace. This residence includes teak flooring and doors, modern accent lighting, custom electronic blackout shades, stainless steel Miele and Sub Zero appliances and 1,162 square feet of open living space. Includes access to all of the Setais five-star amenities. Exquisite & elegant dcor. Stunning ocean, beach & bay views. South exposure. The place to stay & be seen among the stars & celebrities. One of the Leading Condo/Hotels in the world. 3 infinity pools, world class spa & restaurants. In room dining, concie rge, enjoy full service at the pool & beach. THE SETAI IS THE PROUD RECIPIENT OF THE 2019 FORBES TRAVEL GUIDE FIVE-STAR HOTEL AWARD. THIS AWARD PUTS THE SETAI AMONG THE FINEST HOTEL IN THE WORLD. Also THE SETAI HAS BEEN REWARDED WITH THE PRESTIGIOUS TRAVEL & LEISURE READERS CHOICE AWARD, NAMED THE #1 RESORT IN MIAMI BEACH. 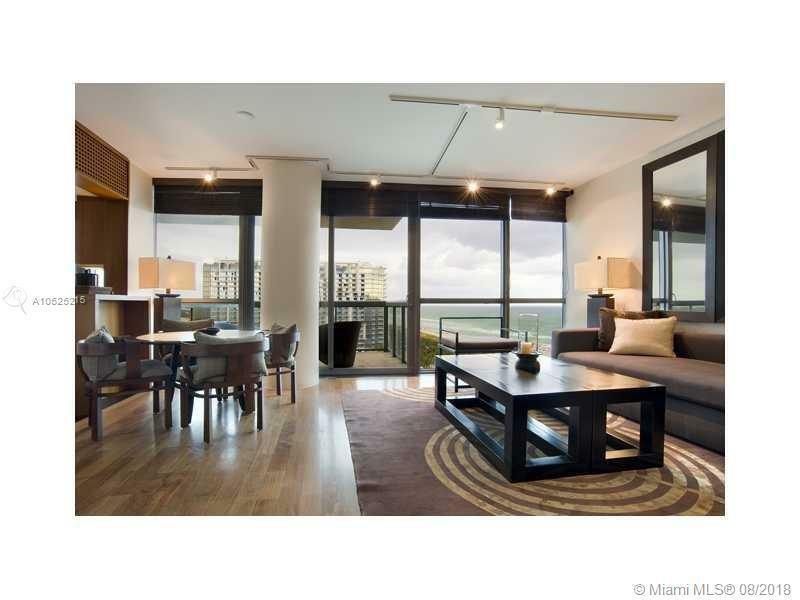 Northeast corner oceanfront 2 bedroom/2 bath at Setai South Beach. Most coveted line in Setai by those who know the building best. Spectacular direct ocean views from every room. Custom re-design, floor-to-ceiling windows, expansive wraparound terrace. The Setais 5-star amenities include 3 infinity pools, spa, beach and poolside service. This residence and this lifestyle are simply perfection!